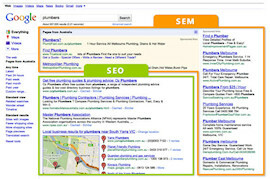 Unique Websites Search Engine Marketing (SEM) services for Australian based businesses. You can turn your website into an instant sales machine with our Search Engine Marketing service. That’s where Unique Websites is different. Our knowledge of the Australian area both online and offline ensures we can create the most cost effective and results effective marketing campaigns to get you onto page 1 – and keep you there.